Several days ago, I was chatting with my father on the phone. He had just attended a family reunion. In the conversation he brought up the subject of his Grandfather (and my Greatgrand Father), Christian Haroldsen, who immigrated from Norway when he was 12 years old. Now my father is as proud of our family as anyone I know. But I have never heard him say anything good about Christian. And his conversation on the phone was no exception. So since that visit of a few days ago, I have thought alot about Christian. My story follows a timeline beginning in 1839. And I am now writing the story of our family in 1853. And Christian wasn’t born until 1863. So he is not in my story yet. But when I do write about him, I want my family to see a different perspective on his life than has been told before. My spin on Christain will be different. All that we "family" seem to remember about Christian, was that he was a drunk who almost bankrupted the family farm. My dad even said that he regretted that our family name comes through him. I am bothered that the value of Christian’s life is judged solely on his addiction to alcohol. In spite of this addiction, he had a wonderful life. His contribution to our family heritage will not be forgotten when I tell his story in my novel. Even his bad example in this one thing has become better than no example at all. None of his 9 children ever drank. My father has never tasted alcohol. I have never tasted alcohol. And to my knowledge, none of my children has ever tasted alcohol. I wonder how many lives of his posterity have been spared ending up in a ruined life because the Haroldsen’s learned their lesson about booze from watching what happened to Christian. I don’t despise my Great Grandpa, who didn’t feel worthy of the title. He asked that everyone in the family just call him "Uncle". I have files of information and have spent years studying and pondering his life. When his story is told by me, it will have a different spin on it. Great Grandpa Christian, I won’t call you Uncle ( I wouldn’t have done it to your face, and I won’t do it in your memory) , if you somehow have internet access in the next life and can read this, I want you to know that I think you were a pretty cool dude. Just wait until you see what I write about you. As your posterity read, I promise smiles of admiration along with the tears of sadness. Hi,I came to your site by way of Valleries. I wish everyone who has an alcoholic in their family would learn from the bad example. Sadly, that is not the case. Also, a little compassion for the alcoholic is usually in order. People without addictions cannot possibly understand the struggle. I’m sure your great grandfather had many good qualities in spite of how his life turned out. I came across your site while searching for our family name. 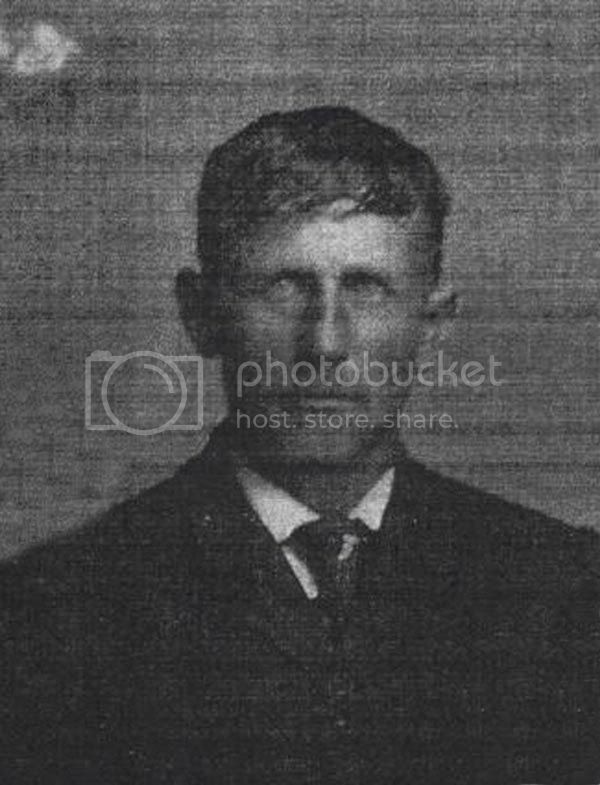 My great-grandfather is Rueben Haroldsen, son of Christian Haroldsen. Nice to see there are more Haroldsen’s out there! Christian was my great-grandfather too… Sooo many cousins. Has anyone figured out just how many descendants he has now? I was given several boxes of pictures & memorabilia from my Aunt Marlene, since she knows I am Scan Queen… I scanned one of the photo albums from about 1915-1920- mostly snapshots of family & friends. I finally got all of the pictures uploaded. Many of the pictures are not identified so if you could leave a comment or e-mail me the ones you recognize. I also uploaded all the obits and funeral programs my grandma had collected. Most are Haroldsen though some are Hattons and I think some might just be friends or neighbors because I couldn’t find any reference in my files. One album has names with the pictures to use as a reference as well. Feel free to download any or all of the pictures for yourself and let anyone else who might be related or interested know about it as well (after doing all this work I want to make sure as many people as possible can share it. If you have any other pictures let me know and I can add them to the site as well. I know this is coming years after your comments, but here are my thoughts. I’m your relative. I’d like to know who your grandfather is. My grandfather is Oliver, one Christin’s son. My family and all my first cousins have a different spin on Uncle (and we would definitely call him Uncle). Uncle lived with my dad’s family. Yes he had a terrible drinking problem, but he was a very intelligent man. He was kind and he loved his family very much. I believe that the attitude of your grandfather and most of Uncles children came from the fact that alcoholism was a sign of weak character. We know differently now. Oliver’s grandchildren have been raised on story after story of Uncle. Some a little sad, many funny, but all of them helped to create a very special place in our hearts for the man we call Uncle. I, for one, can’t wait to meet him and tell him how grateful, happy, and proud I am that I was born a Haroldsen….the best name I know!